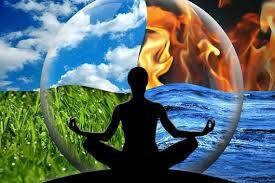 Welcome to the 2013 Spiritmuv Meditation Challenge. In this instant, I begin again – stronger than I’ve ever been before, wiser than I’ve ever been before, better than I’ve ever been before. Yesterday, I didn’t do what I thought I should have. I talked too much and wasted my energy. I focused on the negative rather than the positive purpose that always guides me. I cared what others said instead of realizing the victory that has always called me. I lingered in doubt, instead of knowing that God always has my back. But in this moment, the truth that sets me free is the healing, motivating, exhilarating, liberating, intoxicating, invigorating movement of God blessing each and every step that I take. Today I begin again, and I am stronger than ever. Today I begin again, and I am wiser than ever. Today I begin again, and I am smarter than ever. Today I begin again, and I am more productive, more brilliant, more dynamic than ever. Today I begin again, and I am more diligent, more centered, more intuitive, more successful than ever. Today I begin again, and I am more aware, more focused, more creative than ever. Today I begin again, and I am better than I ever was before.